I am always behind on blogging. And this post is INCREDIBLY sappy about Randy. So if that's not your thing, just skip this one. 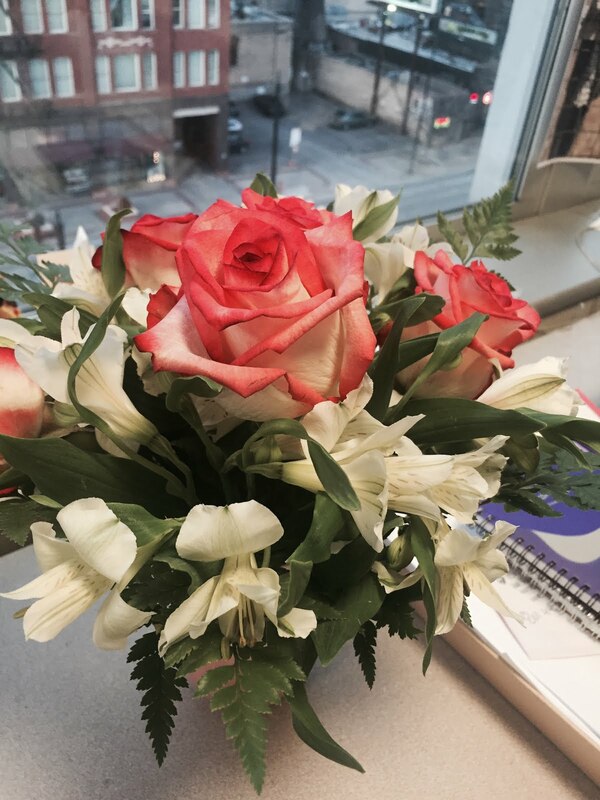 Randy had flowers sent to my office in honor of the special day. He's the best. Mr. Low, thank you for making me happier than I ever could have imagined. Marriage isn't the end of the fairy tale. Happily ever after involves a lot more dishes, heated discussions, less sleep, more busy-ness, and more hard work than I expected. But it also involves happy sacrificing, realizing what's important to you, forgiving, time spent on your knees, laughing, and being so in love you can't breathe. Sorry if this is sappy, but being married to Randy is my dream come true. Six months have flown by and I'm beginning to realize that eternity may just not be long enough. And they were amazing. I remember walking around with Randy my boyfriend, and it was so wonderful to look up at the building where we got married, surrounded by lights, and just realize how lucky we are. 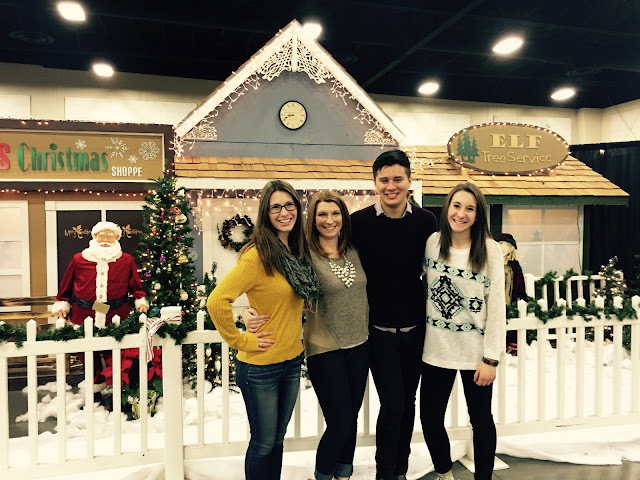 Then today we went to the Festival of Trees with my family. It was a blast to hang out with them - my family is so incredible and so close, and I love it more than anything. I was reminded of a day at the Festival of Trees exactly one year ago. I was by myself with my family. I was counting down the days to Randy's return and I only had three left. At lunch my mom asked me how I was feeling. I told her I was feeling numb - it hadn't hit me yet. And as a part of the biggest surprise of my life, late that night exactly one year ago, the love of my life walked in the door. I am so thankful Randy served a mission. He loves the people of Japan, and the things he did there changed lives. I will forever be thankful for the missionary he was, and is, and the person that serving in Japan helped shape him to be. I will also be forever thankful that I got to be a small piece of his mission. I got to write him, hear the stories, try and help him through the hard times, learn from his growing testimony and share mine. As grateful as I am for his mission I'm even more grateful that tonight he's sitting across the room with a goofy smile on his face, watching YouTube videos. Happy 1 year home Elder Low.